Heat oven to 350°F. 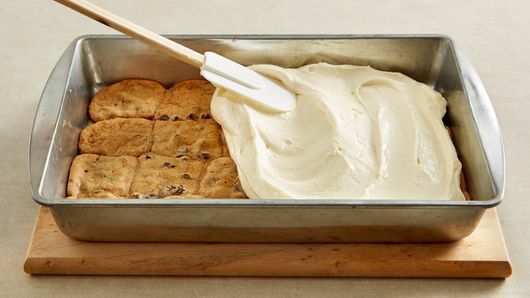 Place cookies in ungreased 13x9-inch pan. Press dough evenly into pan. Bake 9 to 13 minutes or until light golden brown. Cool 10 minutes. Meanwhile, in large bowl, beat cream cheese, sugar, vanilla and eggs with electric mixer on medium speed until smooth. Spread evenly over baked crust. In small microwavable bowl, microwave hazelnut spread uncovered on High 10 to 20 seconds to soften. Drop teaspoonfuls of spread on cream cheese mixture. 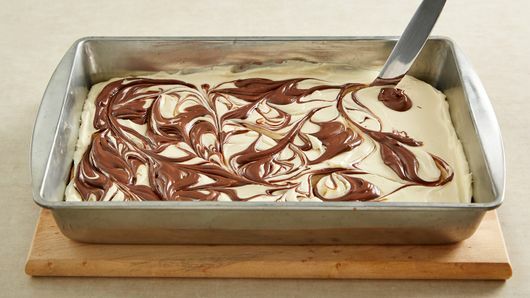 With knife, carefully swirl spread into top of cream cheese mixture. Bake 25 to 30 minutes longer or until filling is set. Cool 30 minutes. 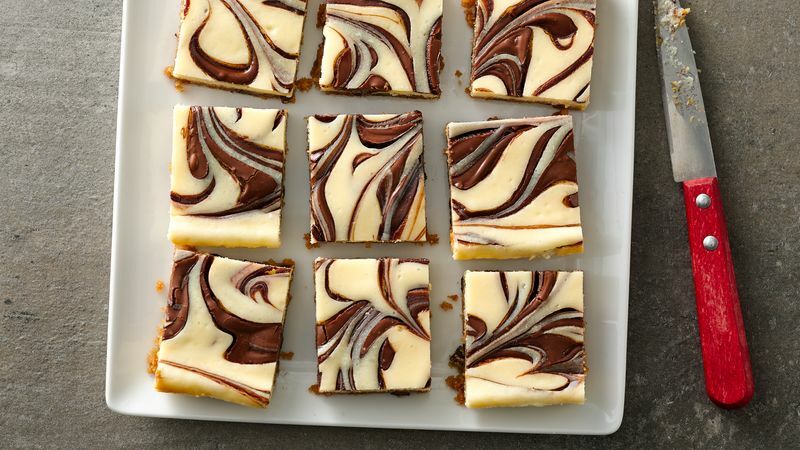 Refrigerate about 2 hours or until chilled. For bars, cut into 8 rows by 4 rows. Store covered in refrigerator. Softening cream cheese is easy; just microwave unwrapped cream cheese on microwavable plate uncovered on High 10 to 15 seconds. 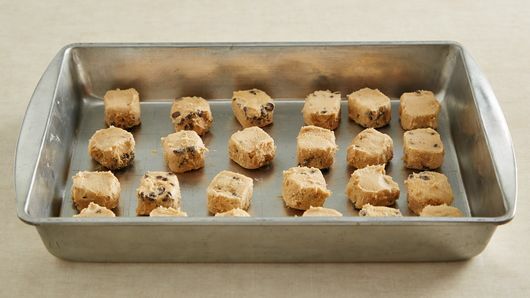 Substitute Pillsbury™ Ready to Bake!™ refrigerated sugar cookies for the chocolate chip cookies.